BARTA encompass the knowledge and skills of UK Fire and Rescue Service, Veterinary Associations and where required, other animal welfare or technical specialist groups in order to support development of equipment and techniques that will promote safety and welfare when resolving incidents involving animals. An exciting new scheme has been launched which will add a stamp of approval from industry experts for those providing services or equipment relating to animal rescue incidents. 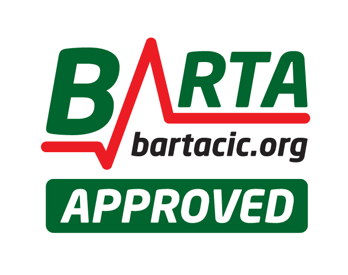 In order to qualify for the BARTA approved badge, a company must demonstrate how their services, equipment or product will fulfil the criteria. In the case of equipment, submitting samples to be tested by a nominated rescue team/s or veterinary hospital/responder is essential. We are also expanding our training locations in the UK and USA and offer an Approved status to sites that can facilitate our training courses and where applicable, their employees may become approved trainers.